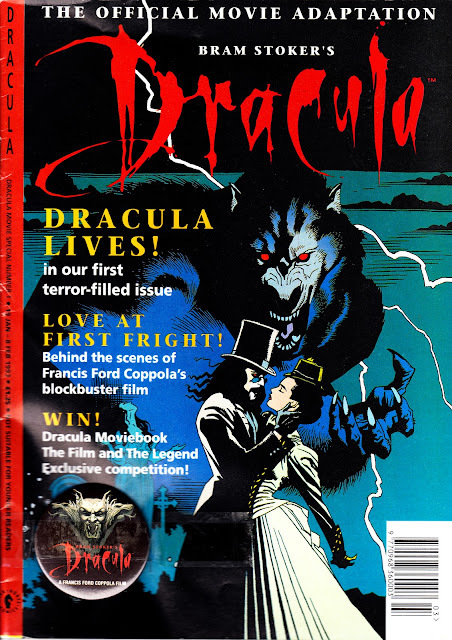 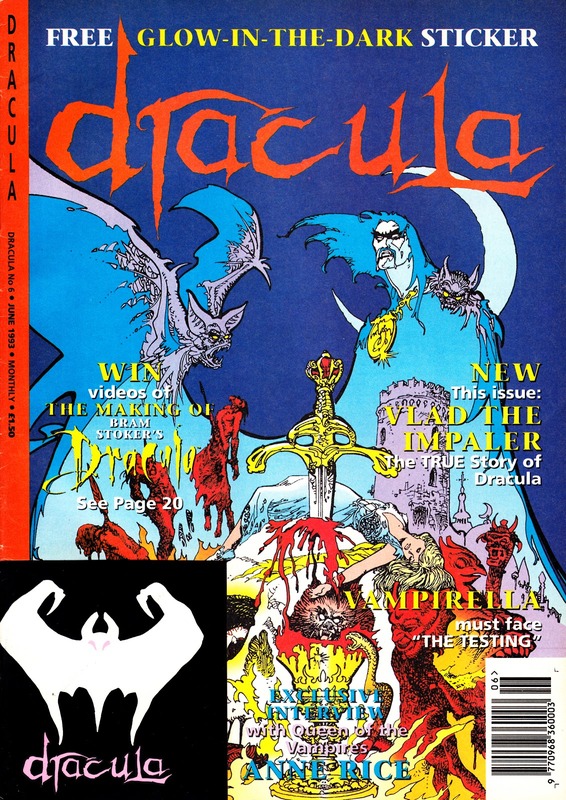 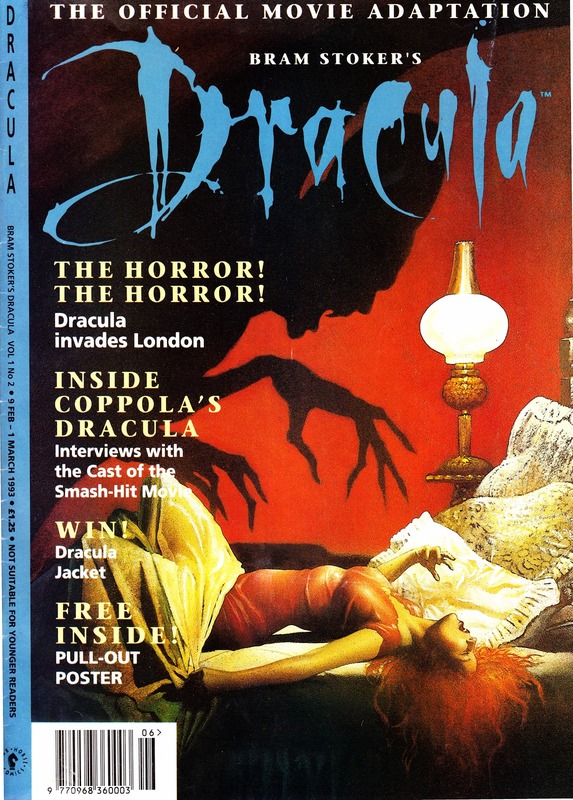 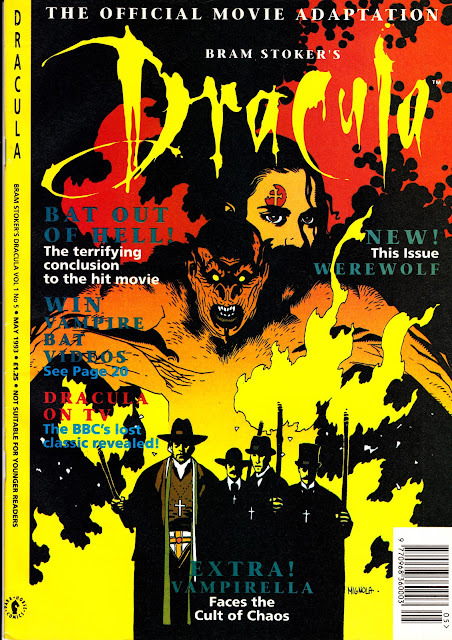 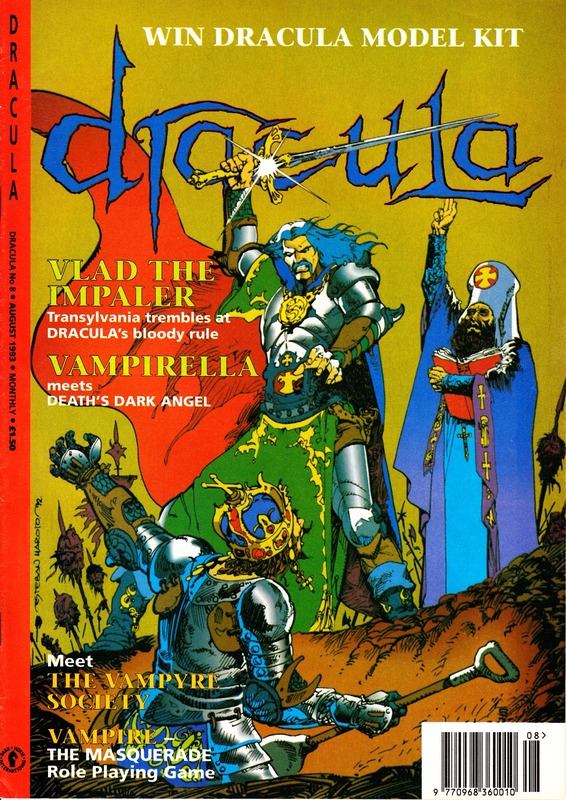 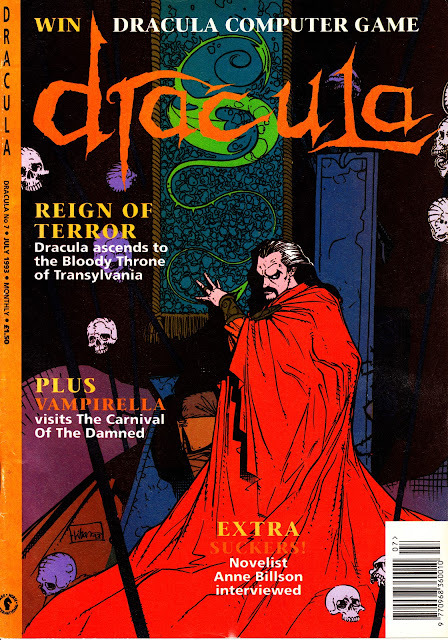 The discussions about Dark Horse International (DHI aka Dark Horse UK) in the comments section of my recent MANGA MAX post reminded me that I had these cover scans on file from DHI's short-lived (10 issues) BRAM STOKER'S DRACULA comic, published in 1993 to coincide with the Francis Ford Coppola feature film. 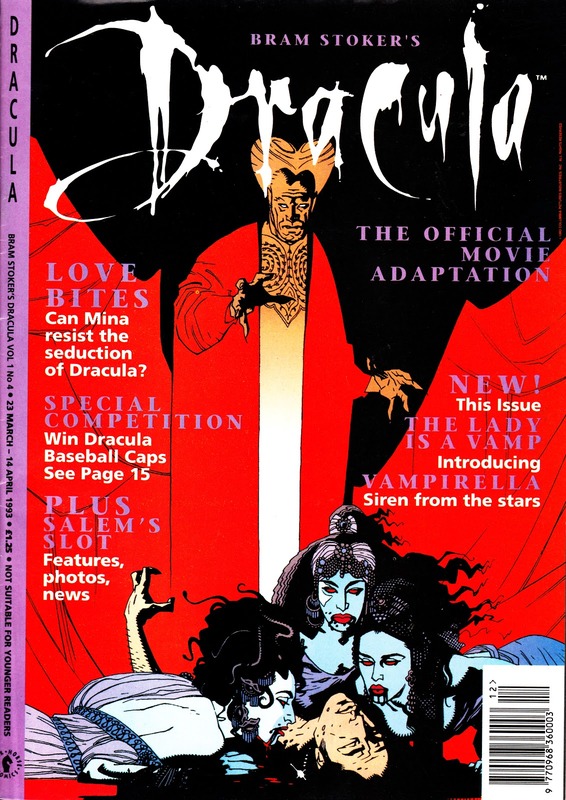 The headline strip was a reprint from Topps Comics in the states. Later issues spread the scare net a bit wider with Vampirella (from issue 4), Werewolf (from 5) and Vlad The Impaler (from 6). 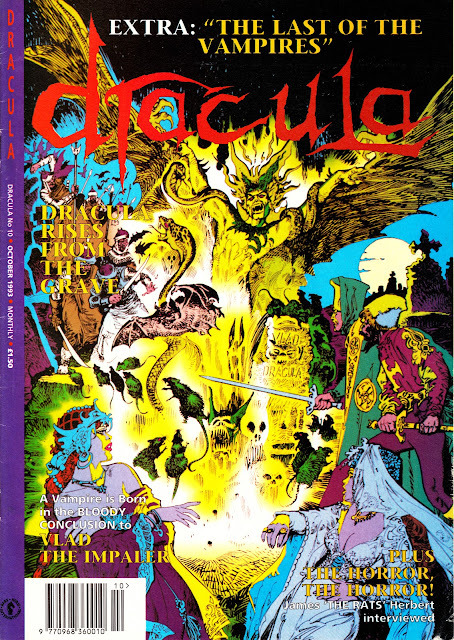 I intend to do more about DHI in future posts but - basically - the US indie (possibly spurred on by the success of ALIENS, TERMINATOR and PREDATOR reprints published under license by Trident Comics) launched an ill-fated expansion into the UK based on the Marvel UK model of US reprints for the mainstream British news trade market (Dark Horse comics being only available via comic book stores). 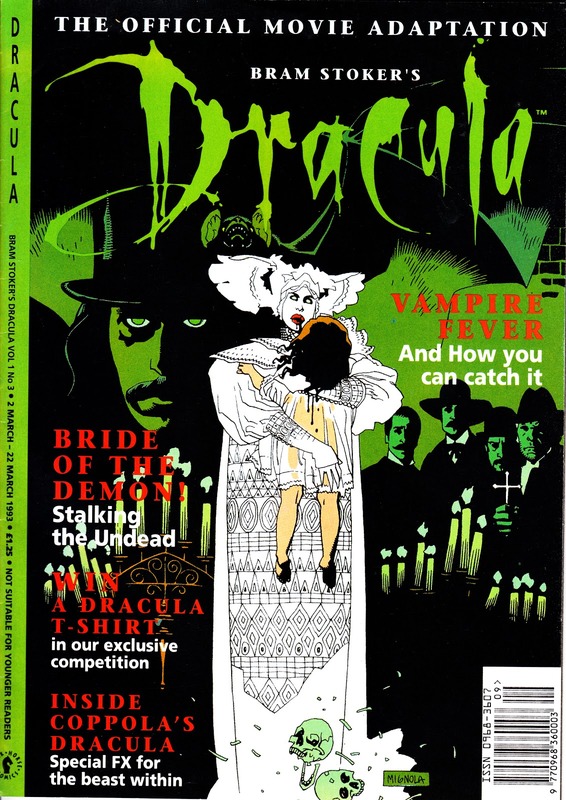 They, like almost every other publisher, were chasing that illusive (but apparently abundant) "mature readers" market. They clearly didn't find it and - in the face of the collapsing US market - retrenched back to the States. 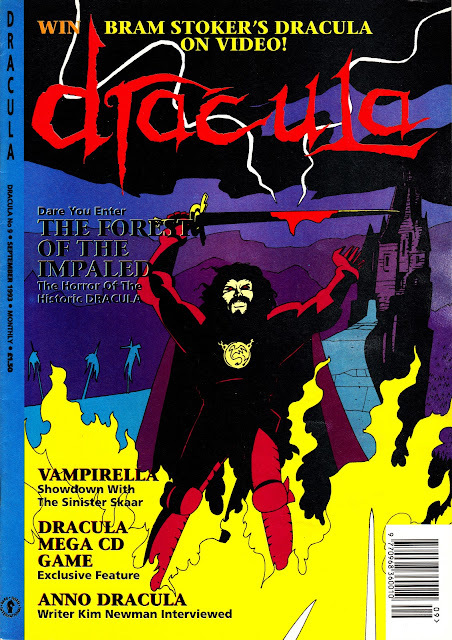 Note the subtle name-change from this issue.